Where to begin, I have always wanted to create a printer tray and this was my opportunity. Scrapmatts chip board is the perfect product to embellish with. My project has a vintage steampunk collectibles feel to it and there are few different packets of chip board used in this project. for my background papers. 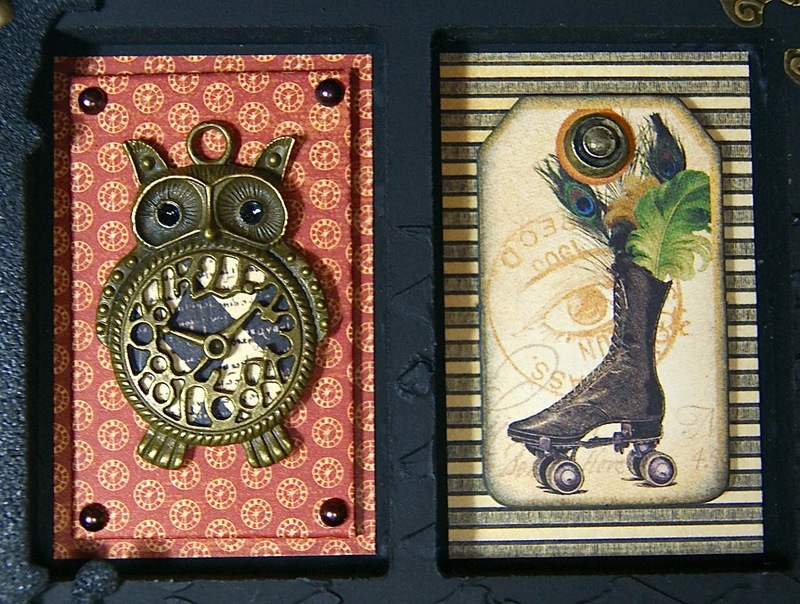 They are a wonderful combination with chipboard embellishments. 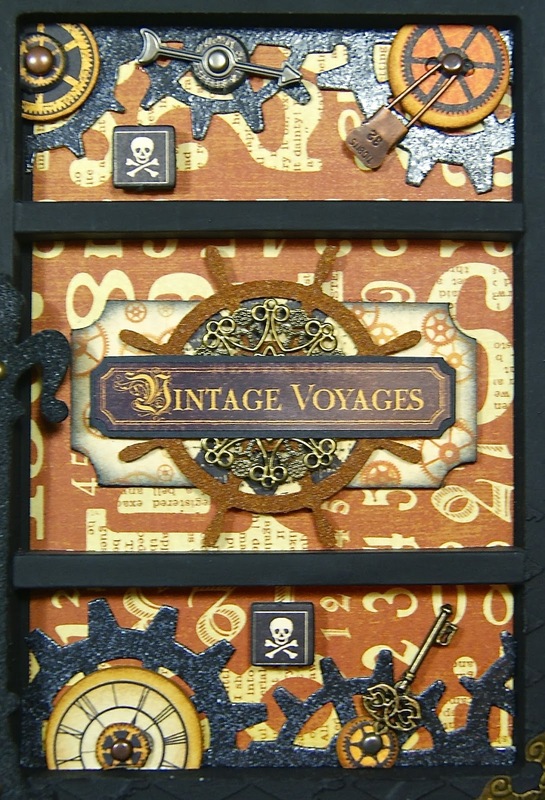 The olde curiosity embellishments have wonderful colour and are a perfect addition to this project. 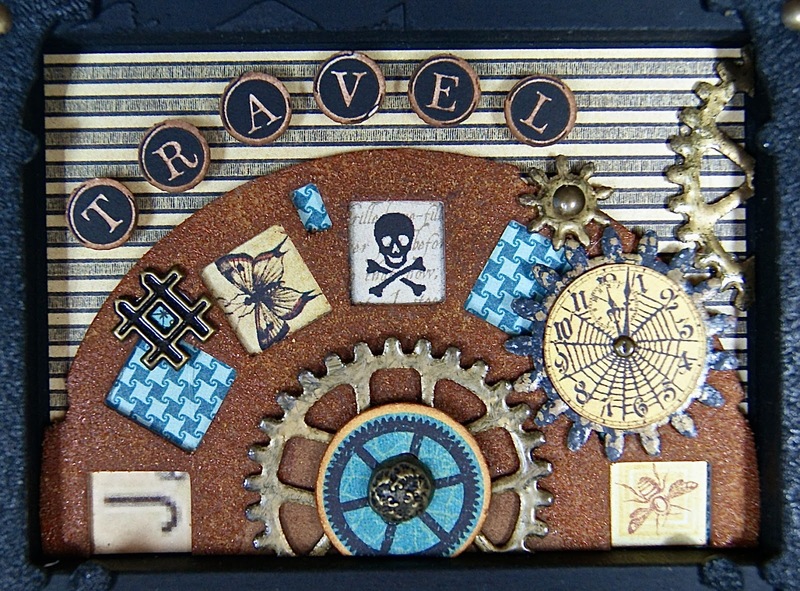 The metal work on this tray include items from graphic 45, tim holtz and ingvild bolme. All work well with the overall theme of this creation. also used the owl charm pictured above.